Hugo Chavez is Dead. What is Next for Latin America? Yesterday afternoon I started getting messages from my friends and family telling me that Hugo Chavez died. I did not believe it until about the third message at which point I went online and saw the headline. “Wow.” Were the words that spilled out of my mouth. Although I knew that Chavez had been battling cancer for a couple years now and I had even written about Venezuela’s need to have a second in command, I never actually foreshadowed his death. If Chavez was good at anything it was making himself seem like this larger than life figure. For that reason I never thought about him dying in the near future. When hearing of the news all I could think about was what is going to happen now, not only in Venezuela but all of Latin America. I got on Twitter and started tweeting and re-tweeting about what happened. I started browsing news sources for information. I somehow managed on a TMZ article that briefly informed that Hugo Chavez had died, described him as hating the United States, and ended its article by saying ‘Hugo f**k yourself’. Disgusted by lack of class when I got home I turned on CNN to see if I could get a more educated report. I was frustrated to hear Anderson Cooper focus on Chavez’s hate for the United States. CNN painted him as a dictator that aligned with other enemies of the US. They spoke of him as being paranoid for thinking the US had tried to assassinate him before. They spent little time on the story and did not once have any sort of remorseful tone. This single event is great evidence of how manipulative and polar media is in the United States. They mold people’s minds to think the way they want them to, only reporting one side of the story, never the whole thing. I am not saying that Hugo Chavez was perfect. But he was a father and had a family. And he has a great percentage of Latin America mourning his death. The media in the United States should be respectful of that. When it comes to topics like Hugo Chavez opinions do not have to be black and white, and mine certainly are not. While the media in the United States is reporting only the white, that an evil United States hating authoritarian has died. Latin America is reporting the black side, that Venezuela has lost its leader and Latin America has lost a dear friend. I would say that my opinion is grey. I believe that Hugo Chavez did make great accomplishments for Venezuela while he was leader. I think his animosity towards the United States is completely justified. However, I also think that he made many mistakes as leader, not stepping down being one of them. Hugo Chavez held the seat of power in Venezuela for fourteen years, if he lived through his current term it would have been twenty. During his time as Venezuela’s leader Chavez nationalized oil which allowed him to spread the country’s wealth. He reduced the country’s poverty by half, extreme poverty by seventy percent. He increased access to health care and education. He focused on the country’s ignored population. Venezuela’s poor loved him, they saw him as a man of the people. On the other side is Venezuela’s wealthy, who mostly hated Chavez and many of whom fled the country. They blame Chavez for the high inflation and crime rate. Many said he was unable to deal with the country’s violent crime population. I see Chavez’s weakness in not stepping down, he let himself become more important than the revolution. If he stepped down and allowed someone else in the party to run for election the popularity of the revolution would have been tested. Instead, he used his control to hold on to as much power as possible. While he was president no balance of power existed and only until recently did he appoint a second in command. Hugo Chavez brought the world’s attention to Venezuela, before the was president the world ignored the South American nation. He was the first democratically elected left presidents in Latin America, and the first that vocally opposed the United States’ control over Latin America. Those that criticize him for hating the US do not know Latin American history. The US has an ugly history of starting wars, taking out democratically elected presidents, colonizing nations and trying to hold all power over Latin America. It is a surprise that more Latin American countries do not loathe the US. Hugo Chavez was not paranoid for thinking that the United States was trying to kill him, although Nicolás Maduro was taking it to a new extreme saying the US gave the political giant cancer. Hugo Chavez survived a Washington backed military coup that tried to overthrow him. He believed that the US tried several times to assassinate him, like it has with his ally Fidel Castro. Sources close to Chavez said that he hoped relations with the US would improve under Barack Obama but lost that hope after the 2009 coup in Honduras, which he vocally opposed. Now the world is watching Venezuela closely to see what happens on April 14th when the country will vote for the new president. Many say that Henrique Capriles, a lifelong politician, will run for the president’s seat again, he ran against Chavez in last year’s elections. Current acting president Nicolás Maduro, a former bus driver, will run under Chavez’s party, the United Socialist Party of Venezuela. Political analysts expect Maduro to win. Chavez’s party has more than seven million members. Chavez was able to win the elections last year without really campaigning, as he went through cancer treatments during the majority of the campaign. Many of Chavez’s supporters will vote for Maduro simply because that is what Chavez told them to do before he died. If Chavez’s party continues to rule it is unlikely that relations with the US will improve. Maduro will most likely rule just like Chavez, he has even been speaking like Chavez recently. I am most interested to see what happens politically in Latin America. Hugo Chavez started a trend of left governments in Latin America, especially South America. Presidents from across the region are expected to come to Venezuela to mourn his death. 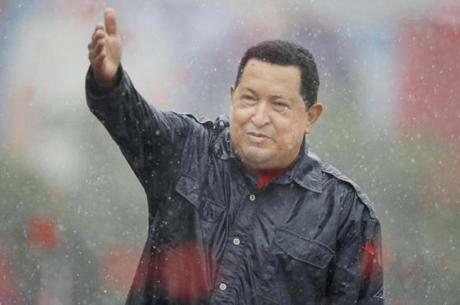 Unlike in the US, Chavez was a big deal in Latin America and the region is shaken by his death. He was the leader of left governments and opposition to the US. It will be interesting to see if the trend of left governments continues in Latin America after his death. The most demonized democratically elected president is dead. The political giant has fallen. Now it is time for a new leader in Venezuela, and Latin America. Venezuela Election: Has changed finally arrived? Hugo Chávez has held the seat of power in Venezuela for fourteen years now. But with today’s election Chávez appears more vulnerable than ever before. While Chávez has been battling cancer, his opponent, Henrique Capriles, has been across the country holding rallies. Today, Chávez seeks another six year term which would put him in power until 2019. While polls differ many expect this to be the hardest election for Chávez and more worry about what might happen after the election. Venezuela is currently at a point where many people are fed up with the poor economy and high crime rate. The rate of emigration in Venezuela has increased, the capital,Caracas, is now nicknamed ‘City of Farewells’. Unemployment is currently around 8% in the country. Government spending is hidden from Venezuelans and there is no transparency in the government. 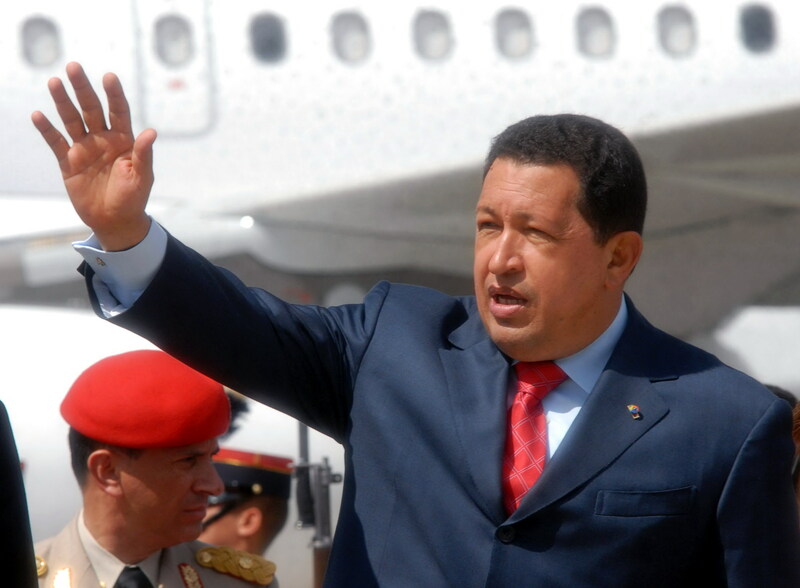 Recently, Hugo Chavez has been an absent leader traveling to Cuba for cancer treatments. Many are saying that he is at the end of his reign. Right when the Venezuelan chief appears to be at his weakest he is facing an opponent who is younger, enthusiastic and experienced. Hugo Chávez, 58, has solely held the power in Venezuela for 14 years. During his 14 years in power, poverty and illiteracy rates have fallen, but crime and inflation has increased. He has been a political figure that is hard to define. While he has distributed wealth and brought much needed subsidies to the poor, he has also become somewhat of a dictator holding on to all the power in the country. This past year, Chávez has been more absent than ever before, as he has undergone treatments for cancer. Chávez has never disclosed where he had cancer or what type of cancer he had, but he claims that he is now cured. It is no secret that cancer has slowed down the jugggernaut, as he has been unable to work for long periods of time due to the treatments. In his absence the public has witnessed the weakness of Chávez’s cabinet and his inability to manage. Chávez only appoints people who will not oppose him, not those that could actually help run the government. There appears to be no successor for Chávez, while he has been ailing other government officials appear lost. During this campaign Chávez has been absent from many of the rallies. However, this past Thursday he showed up at the last rally singing and dancing on stage, perhaps trying to show supporters that he is back and just as powerful as ever. As part of his campaign Hugo Chávez has increased government spending on social programs in order to attract voters. A benefit that Chávez has in te election is that he controls the Venezuela’s airways. On one of the government run TV channels there is a program that shows the government giving keys to new homes or apartments to Venezuelans that are in need. Through this program of government’s giveaways Chávez is able to maintain his popularity despite his absence and the bad economy. His government has pledged to build 200,000 new housing units this year, although the opposition says that those numbers are exaggerated. The program shows Venezuelans receiving keys, crying and proclaiming Chávez’s goodness. What the program does not show is that the government plans to eventually sell the homes they are giving the keys to. Also, in order to speed up the construction of the homes many are not sound and are built poorly. Yet, there are still many Venezuelans that are enthusiastic Chávez supporters and believe he has vastly improved the country. Running for the opposition is Henrique Capriles, who appears to be Chávez’s toughest opponent yet. Capriles, 40, started his political career at 27 when he became a national congress member. Since then he has also served as mayor and governor. All of the opposition parties came together and voted Capriles as their candidate. His campaign has been a smart, energetic campaign. He has toured the country, oftentimes holding two rallies in one day. 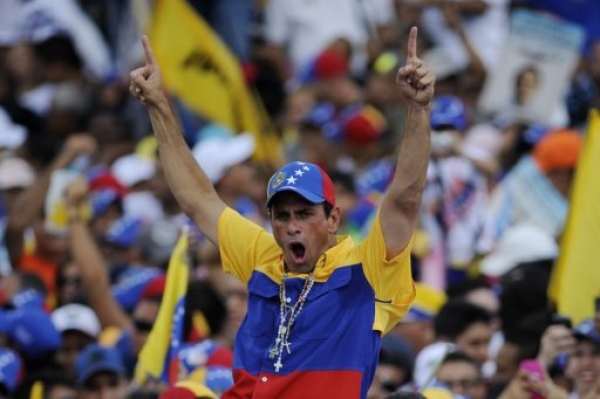 Capriles has run his campaign with enthusiasm like Chávez used to. Unlike Chávez, Capriles keeps his rallies and speeches short. Last Sunday, at his closing campaign rally, hundreds of thousands came out to show their support for Capriles. Henrique Capriles has positioned himself as a centrist. Unlike Chávez, Capriles has a reputation for managerial competence. He has stated that he wants to follow a Braziliam model of business friendly policies. Capriles has promised to continue wealth distribution and social programs, but manage them more efficiently. He has also promised to crack down on the country’s crime. Capriles critics accuse him of having a neoliberal agenda. Oil is no doubt become a major campaign issue and is key in this election. Venezuela is now number one in the world for oil reserves, the Venezuelan economy is dependent on oil. Whoever wins the election will decide which countries are given priorities to the oil reserves. Although the US says that it is has stayed out of the election, some have accused the US of trying to influence the campaign in order to control Venezuela’s oil. Many oil companies, like BP and Shell, appear to be waiting for the election results to see if they will invest in Venezuela oil. Chávez has promised to continue to reduce Venezuela’s dependence on the US. He also plans to build a pipeline from the Colombia region to the Asian Pacific region in order to distribute easier to Asian countries like China. Capriles has promised to reform all current oil deals, some speculate that he plans of restoring relations with the US. The winner of today’s election will determine which way Venezuela’s oil market goes. This election is expected to be the closest since Chavez took power. Polling data is Venezuela is manipulated, most of the polls show a wide range of possibilities. Some polls show Chávez ahead, some show the candidates neck and neck. Despite the polls, most US media shows it a extremely close race. Even though Capriles popularity has been rising there are a lot of Venezuelans that are scared to vote for him. Many fear that if they vote against Chávez they could be fired from their government jobs, or lose their government built homes. This year, the government has introduced a new electronic voting system that citizens fear could be used to track their vote. In 2004, the names of those that signed a petition to recall Chávez out of office were made public and some lost their government jobs. Some of Capriles’ supporters have told media that they plan to vote for Chávez because they fear what will happen if they don’t. “The government has sown fear,” Capriles said, “If we can overcome the fear, I believe that we can win this election be a million votes.” Last election, Chávez won by 62%. With discontent for Chávez rising, Capriles has gained popularity. Capriles is most popular in urban slums, while Chávez remains the favorite in rural areas. While it is clear that Chávez won’t win by 62% percent this year, analysts predict a close election but still show Chávez as winning. The question is what the outcome of today’s election will bring to Venezuela. If Henrique Capriles wins the revolution dies, if Hugo Chávez wins the revolution will live on, as long as he is alive. Economists say that no matter who wins Venezuela faces a grim economy. Many Venezuelans fear uprise if Chávez wins butalso if the opposition wins. Chávez says that he will accept the results no matter what, but his supporters have said they will protest if he looses. Many expect the opposition to ask for a recall of votes if Chávez wins, some of the opposition says that there will be violence in the streets if Capriles does not win. Guatemala and Nicaragua’s Elections: What’s Next? Guatemala and Nicaragua are two Central American countries that have painful pasts. Guatemala had a thirty-six year civil war and Nicaragua also experienced a civil war and dictatorship. Both are currently faced with extreme poverty and violence. In early November both countries held controversial elections which resulted in controversial results. In Nicaragua, President Daniel Ortega was running for reelection, which does not seem out of the norm, except for the fact that he was running for a third term, which is illegal according to the Nicaraguan Constitution. In late 2009, the Supreme Court decided that the Constitutional ban on reelection did not apply to Ortega. Call it a coincidence if you like, but only the judges of the Sandinista party, Ortega’s party, were told of the session. The other three judges were replaced by Sandinista replacement judges when they did not appear, because they were never told. The other judges said that they feel powerless, that the Sandinistas control everything and there is nothing they can do. Many say that the decision should have been taken to Congress because it deals with Constitutional re-form, but to no surprise Ortega said the ruling was unchangeable. The Guatemalan elections also started out with high levels of controversy and dispute when the First Lady, Sandra Torres, ran for President in March. However, close relatives of the President are constitutionally not allowed to run for president, so days after entering the race the First Lady filed for divorce. Torres argued that the divorce was not a political move but the Guatemalan public was not convinced. In late July, the Guatemalan Supreme Court voted against the First Lady’s bid stating that “legal fraud” was committed. The First Lady argued that not allowing her to run was violating her human rights, but the Court stuck to its vote. With Torres out of the running this left Manuel Baldizón, a wealthy businessman, and Otto Perez Molina, a retired right-wing general, as the frontrunners. In early November it was announced that President Ortega won the election in Nicaragua. It seemed perhaps voters were pleased with Ortega’s efforts to stimulate the economy, most notably his partnership with Venezuela which brings $400 million loans each year to Nicaragua. Ortega has set up social programs during his presidency and helped citizens gain legal titles to their land. Despite all of this however, before the elections even concluded there were accusations of fraud. The opposition party accused Ortega’s party of denying identification cards to citizens opposed to the government, but granting them to Honduran citizens. Supporters of Fabio Gadea, Ortega’s opponent accused Ortega’s party of stuffing ballot boxes and preventing Ortega opposers from voting. There were also several reports that polling stations were burned in the north and central provinces. The Organization of American States said that its election monitors were kept out of polling stations. When Ortega’s victory was announced crowds took to the street in protest, it was not long before protesters and Ortega supporters clashed and four people were reported dead as a result. Ortega and his supporters continue to call him the victor as civil society organizations call for investigations into the election. 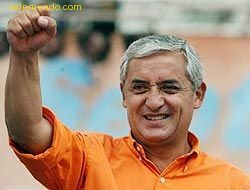 Also in early November, Guatemalan voters showed that they favored the ‘mano dura’ and voted Otto Perez Molina for president. Political scientists were taken back a bit by the popularity of Perez, a retired general from a brutal and long civil war. Did Guatemalans really want a strong military leader as president only fifteen years after the three decade long war had ended? A war in which the military killed, tortured and raped the citizens; and now human rights groups fight to charge these former military leaders and bring them to justice. Perez’s role in the war has never been fully investigated, although he denies involvement in the massacres. Why would Guatemala want a former military leader whose campaign declares him the ‘iron fist’? Perhaps it is because more than sixty percent of registered voters are between the ages of 18-30, for them the brutal civil war that killed hundreds of thousands of Guatemalans is a shadow of the past. Guatemala’s failing education system does not teach about the country’s civil war. The majority of registered voters don’t remember the brutal genocide conducted by the military, what they are concerned with is the violence which now plagues the country. They perceive their war is against crime, drug cartels that have taken over the country and control northern border towns. Violence attributed to Mexican drug cartels is on a steady rise and many police officials and politicians are on the cartel’s payroll. Perez’s solution is a forceful one similar to Mexico’s Calderon’s failing drug war. While experts say that Guatemala’s solution should be police reform, a stronger justice system and a security tax on the rich. The public is eager for a quicker solution which Perez seems to be promising. So what lies ahead for these two countries? Nicaragua will continue to see both citizens and NGOs call for investigation into the election. Ortega’s government will most likely feign investigation but will remain in power. Ortega will probably keep his popularity among his loyal supporters. My prediction is that we will see left-leaning Ortega become more and more like his ally, Hugo Chavez, as he will most likely continue to ignore democracy as it provides his prohibitions and take sole control over Nicaragua. Guatemala will probably not see the decline in drug cartels with el ‘malo dura’. If Perez takes the violent approach to drug cartels like he’s promised, battling them with military we will most likely see the same results we are seeing with Calderon’s drug war, steady flow of violence and civilian murders as the cartels stay in the country. For someone who has studied Guatemala’s civil war extensively I sincerely hope that Guatemala does not go into another war if the military gets too powerful and corrupt once again. But, it is not certain with a President who has been accused in human rights abuses and most likely had a hand in the genocide of the civil war. It has been speculated that Guatemala will see human rights and civil liberties threatened as the government takes a forceful approach to drug violence. One thing is for certain, the political action in these countries is just beginning and the world needs to keep a careful eye on these Presidents.